Dallas, USA – The global hotel industry’s leading cloud platform, SiteMinder, today announces it has surpassed 26,000 hotel customers with the signing of RQ Grupo Hotelero, an established provider of extended-stay accommodation in Chile’s major business districts. The signing of RQ Grupo Hotelero’s properties in Santiago, Providencia and Las Condes comes mere weeks after SiteMinder’s exhibition at World Travel Market Latin America and the company says it plans to only deepen its penetration within the region. RQ Grupo Hotelero has seven properties to provide guests more than 230 rooms. The group’s commercial manager, Ana Marticorena, says, “We hadn’t used a distribution platform until now. We simply knew that in order to sell more rooms, we needed help to manage changes in our room rates and to achieve rate parity across our distribution channels. 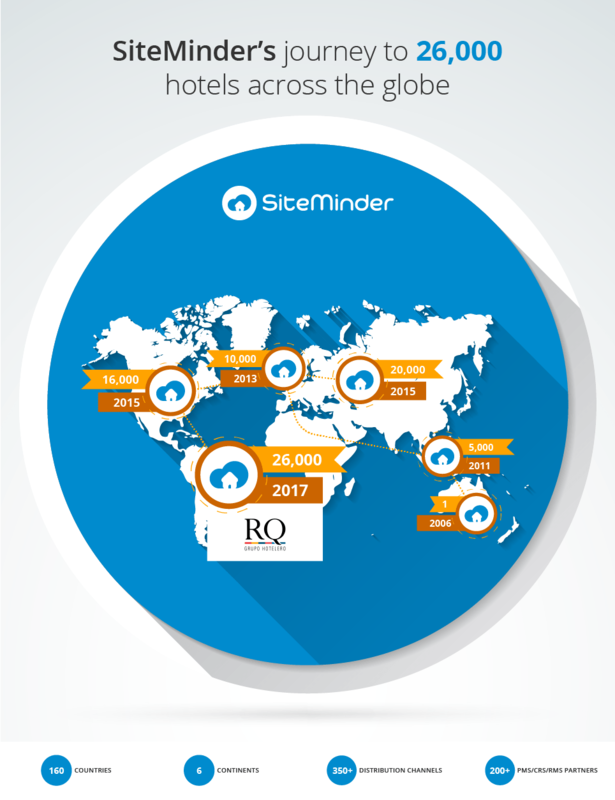 Fig Cakar, managing director – the Americas at SiteMinder, says the addition of RQ Grupo Hotelero to SiteMinder’s strong network of hotel partners is an indication of the company’s true global footprint and its wide acceptance into LATAM. “For more than 10 years, SiteMinder has demonstrated its ability to connect with hoteliers from all corners of the globe, from the Asia Pacific to the UK and mainland Europe, Africa, the Middle East and, more recently, the Americas. SiteMinder’s growth to 26,000 hotels is testament to our technology and our people, both of which speak to the complex needs of hoteliers, including the need to engage in their own language.